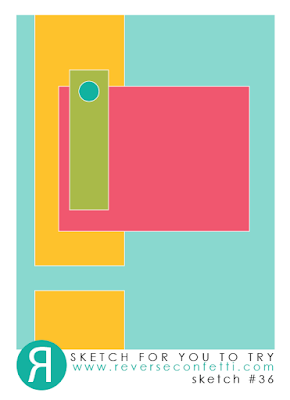 It's time for a new colour palette at the colourQ. 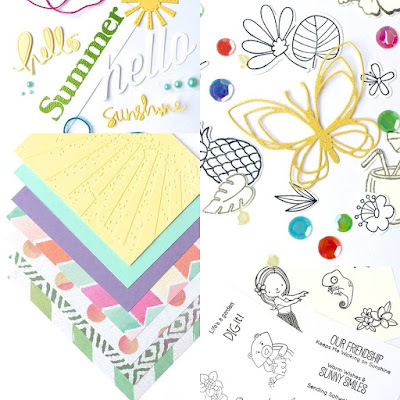 I couldn't wait to use my new Simon Says Stamps Father's Day Finds stamps and dies. 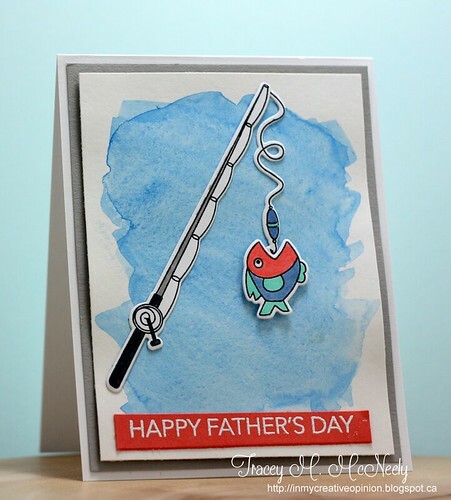 My father loves to fish and the cute images and sentiments in this set were perfect to make a meaningful card for him. 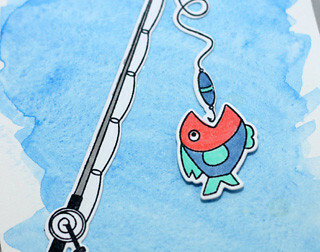 I watercoloured my water background and stamped and die cut the images I was going to use an then Copic coloured them. 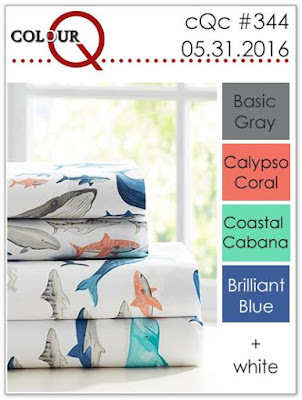 My sentiment is white embossed on a tiny strip of Calypso Coral. Head over to the colourQ to see what the rest of the Design Team has made inspired by these colours and then lets see how you are inspired. I am also submitting this to the Simon Says Stamp Flickr Challenge #46: Summertime. CASology 200th Challenge Celebration and Blog Candy! Can you believe that it is our 200th Challenge? 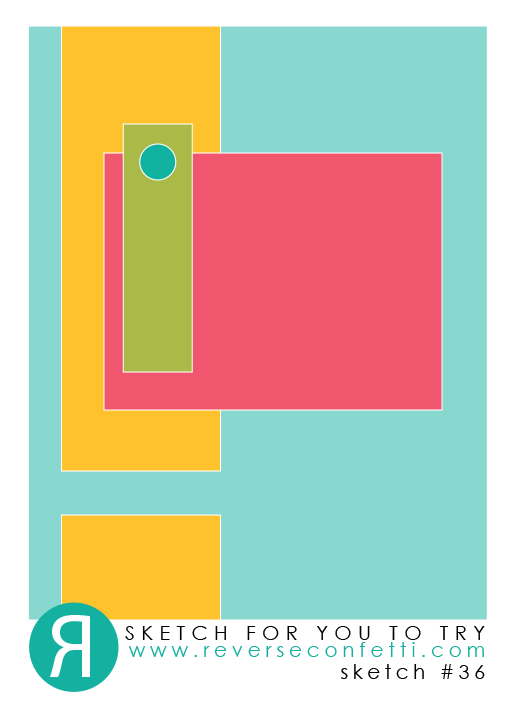 My CAS card came together like this. 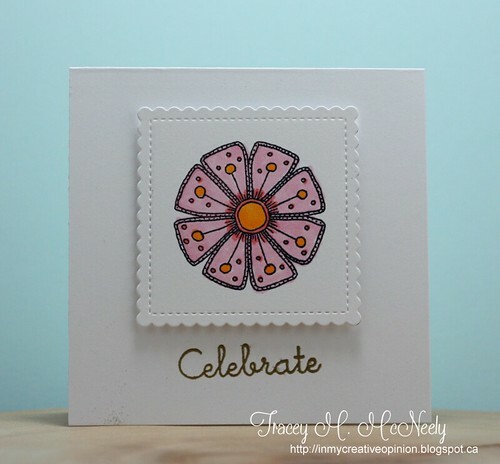 I used LOTS of white space and my main focal image was a single bloom from Happy Little Stampers Doodled Blooms (that I just received on Monday). 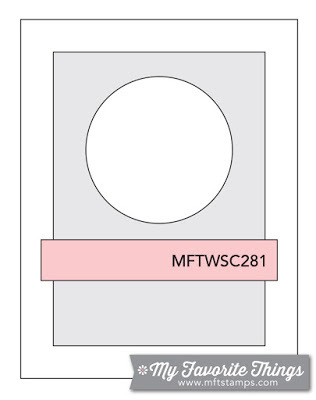 So that the image was floating aimlessly on my card front I stamped it onto a small white frame to grounded. I added some foam tape to the back of the frame for dimension and finished off with a gold embossed sentiment. Several members of the DT will be offering blog candy. Each DT member who is participating will select a random commenter from their blog who also linked up a card at CASology. 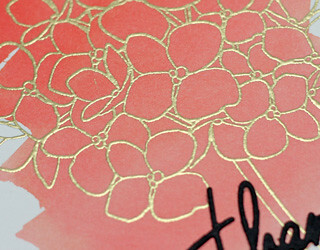 Winners will be announced on each DT blog as well as on the CASology blog next Monday. 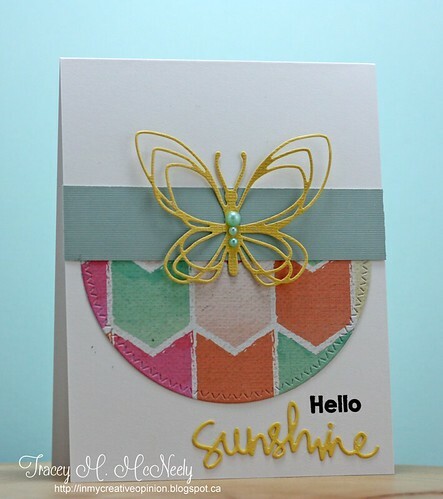 I am giving away Papertrey Ink's A Second Helping of Sunshine and the dies. I thought a perfect set for some fresh summertime cards. Now it's your turn! 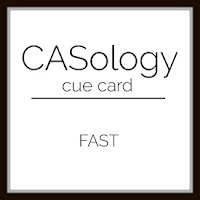 Remember to leave a comment here AND link up a card at CASology for a chance to win my blog candy! Yay it's time for this month's edition of the 12 Kits of Occasions! 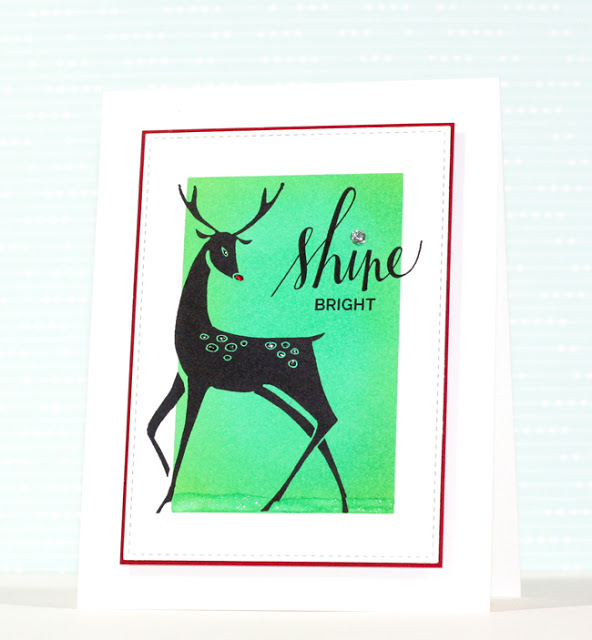 My first card is also for this week's wildcard sketch at The Challenge #75. I stayed pretty true to the sketch using the glittery yellow butterfly from Concord & 9th! 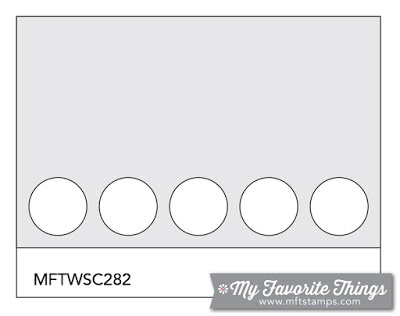 My next card is also for this week's MFT Stamps Wednesday Sketch Challenge #282. I had so much fun colouring the die cuts from Blissful Blooms and Polynesian Paradise. 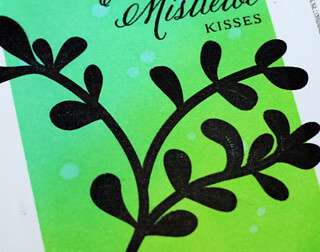 I lined them up in a row at the bottom of the Sizixx Rays embossed panel that I trimmed to be shorter the the card front. 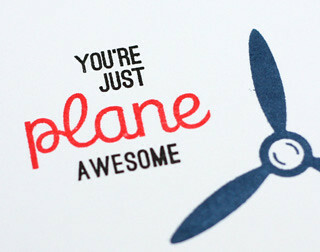 Then I completed it with the perfect sentiment! Both the coloured images and the embossed panel and popped up with foam tape. 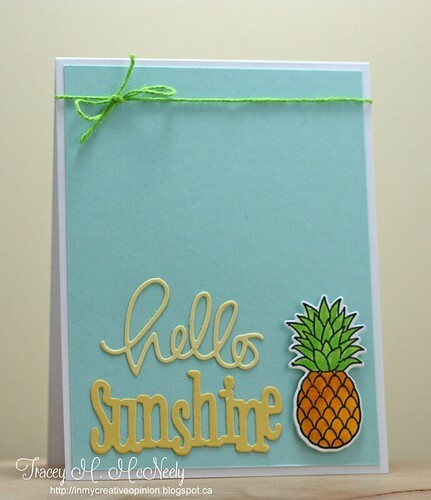 For my last card I started by colouring the pineapple from Sunny Studio's Tropical Paradise! Then I paired it with some of the die cut works to build my sentiment and finally tied some of the Spellbinders linen thread to the top. 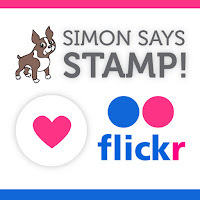 I am also submitting these to this week's Simon Says Stamps Wednesday Challenge: Anything Goes! Thank you Sharron for the awesome kit! Your timing for a package of sunshine was perfect! Sharing a card made for this week's Muse Christmas Vision where my friend Stephanie Klauck is the guest designer using Laurie Willison's Masked Backgrounds technique that she shared in this week's Make It Monday Video. 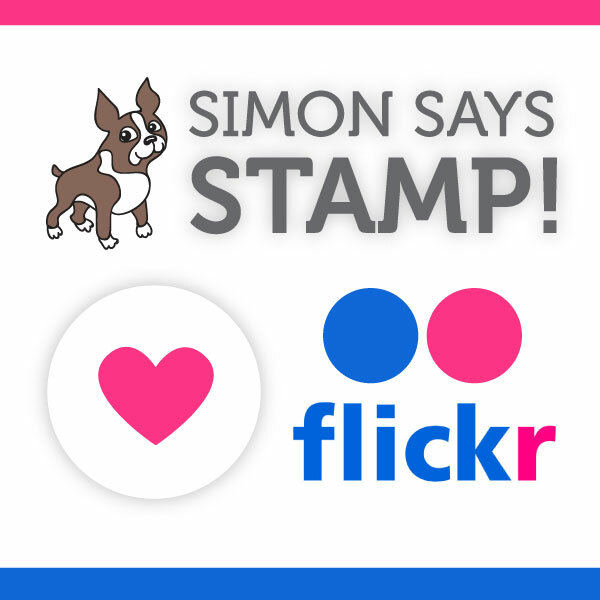 I am also submitting this to this week's Simon Says Stamps Wednesday Challenge: Anything Goes! Better late than never. 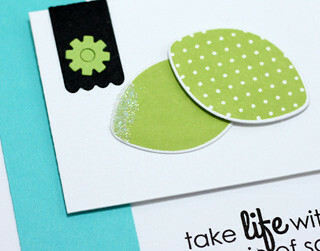 I have my DT card today for Inspired by All the Little Things #17. The post went live on Saturday but I wasn't able to post my card. 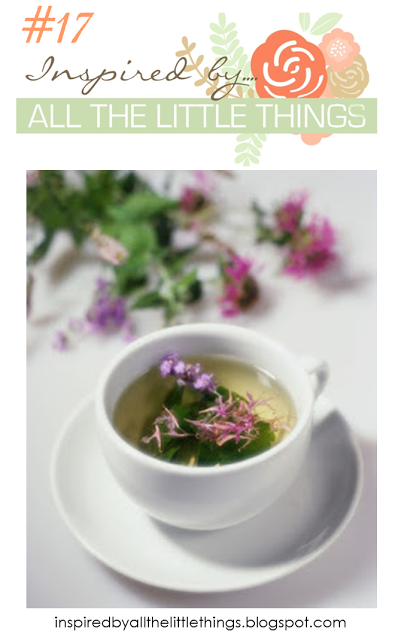 It has been a rough week, as much as I can't wait for the warmer weather to return each spring along with it comes migraine season for me. The humidity and barometric pressure has been playing ping pong with me all week. A nasty migraine that has also brought on an upset stomach and muscle spasms in my neck that shoot right up to my eye. So now that I have painted a very unpleasant picture I have my card for this week that I selected for the challenge. 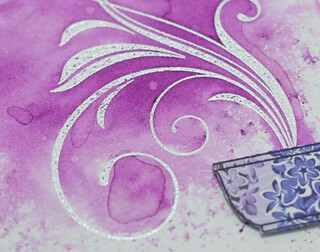 I focused in on the colour scheme, the lilac and the tea cup. 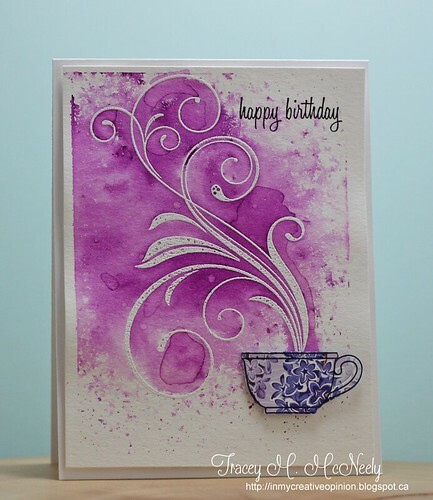 I die cut and stamped my tea cup using Bo Bunny's Secret Garden Arbor paper, stamped and embossed the flourish to come out of the cup like steam and then I used my new Magenta Nuance Water Colour Powders to paint and splatter the purple over the background. Hope that you can come over and play with us this week. Wishing all my American friends a wonderful Memorial Day Weekend! 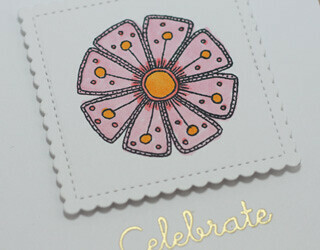 A card for this month's Reverse Confetti Sketch For You To Try. I think I have warm weather and beaches on my mind these days. Or perhaps more likely a reason to pull out my Margaritaville Concoction Blender and mix up some Margaritas! 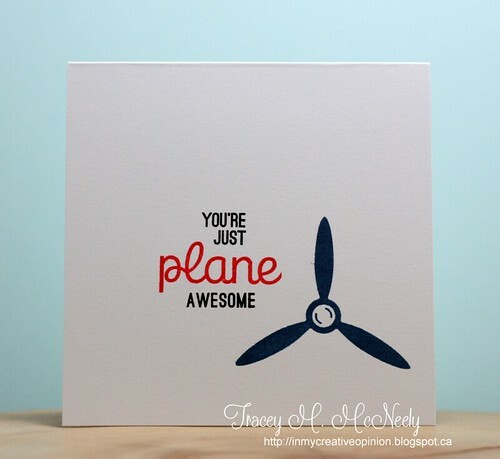 I used Papertrey Ink's Love You to Pieces set for my card this week. 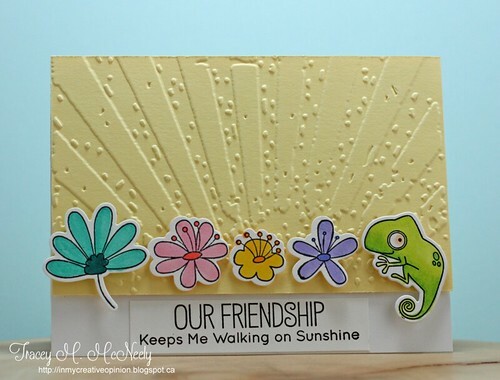 The images and fun sentiments in this set are perfect to make cards for children young and old. 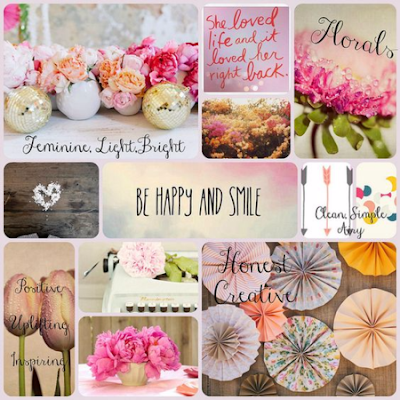 The images and/or sentiments can be placed to maximize your white space. 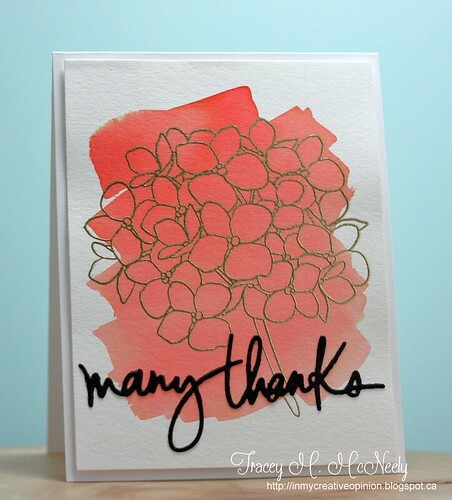 I did a watercolour wash of Calypso Coral on my card front and then I embossed the Essentials by Ellen Mondo Hydrangea with gold embossing powder. The finish it off I die cut the Essentials by Ellen Designer Dies Many Thanks in black and adhered it to the card panel. the entire panel was adhered to the card base with foam tape. 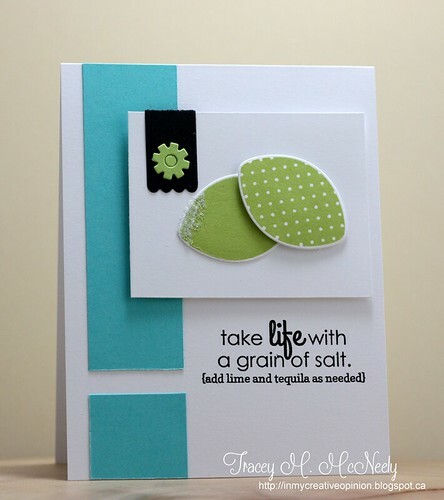 I used the Essentials by Ellen May Pin-Sights Challenge as inspiration for my card. 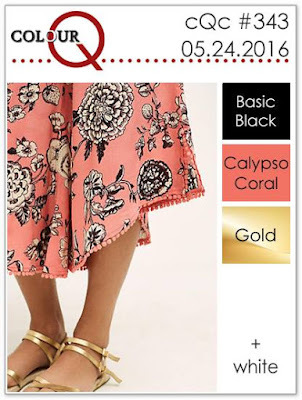 Head over to the colourQ to see what the rest of the Design Team has created this week, there are some amazing projects. I hope to see you play along this week! 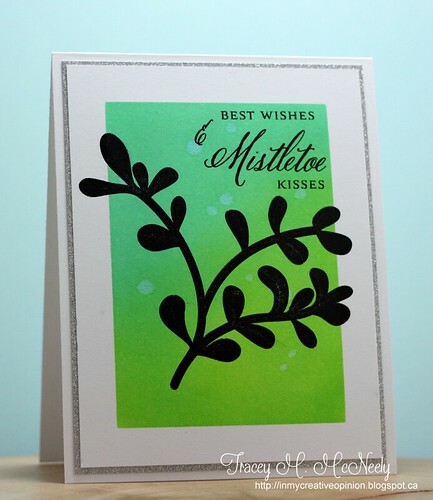 Another card for this week's MFT Wednesday Sketch Challenge #281! 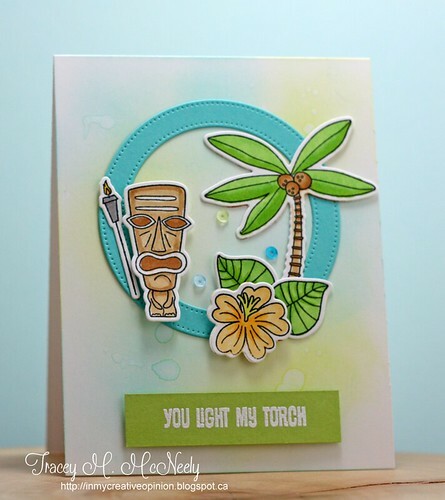 I was so inspired by the projects made by the Design Team and was especially taken with the colours and tropical theme that Kay Miller used for her card. The perfect opportunity to bring out Tiki Party o play. That set has seen far too little ink. I sponged my background using two different Distress Inks--Salty Ocean and Twisted Citron. I flicked some water onto in after I was finished sponging. 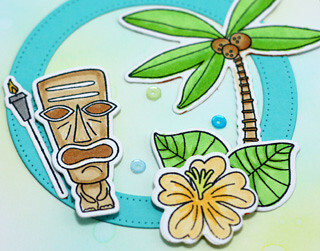 I die cut a Blue Raspberry Die-namics Stitched Circle Frame and then stamped and Copic coloured several images from Tiki Party. Tag You're It challenge #47 Reminder! CCC #198 and Happy Birthday Sandie! colourQ #340 and Happy Birthday Joyce!